It also adds hope that another of the LDPW’s restoration projects, Oak Grove, will be finished and moved to the main Grid soon (that’s it in the upper left corner of the playground photo, with Red Rocks Stage and the tattered remains of Wild West Town). Since Rizal is right next to my old furry stomping grounds, I strolled around there for a while and found a couple of new things, which can be seen in my online collection. 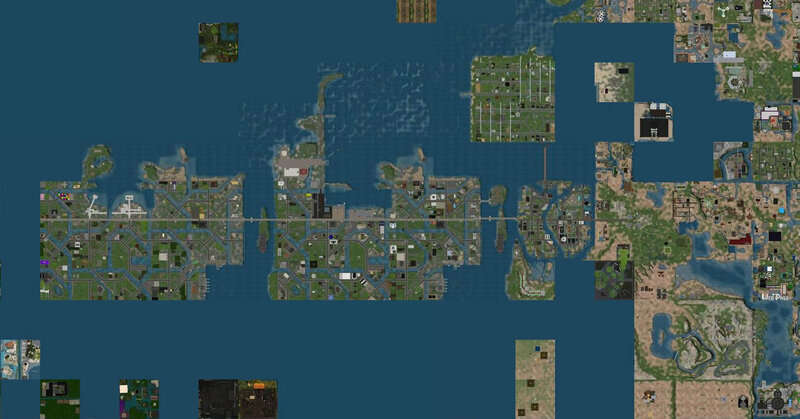 Bay City: one of the newer, and preeminent, themed estates in Second Life, with a strong community feeling and the organization to back it up. 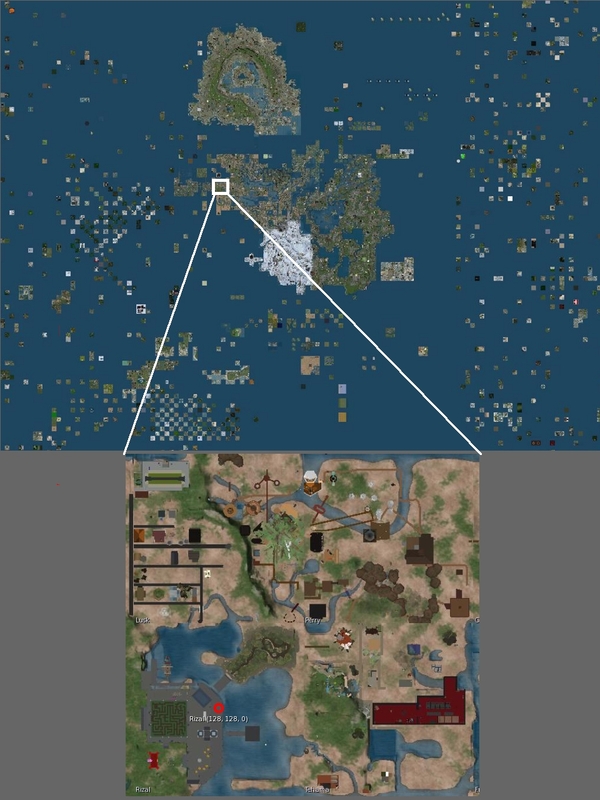 Until January of this year, only the right-hand group of regions existed on the Main Grid, but there was a nearly-identical duplicate on the Teen Grid. Then they were merged… the adult Bay Citizens reached out to their new younger neighbors, and now it’s pretty much all one. The left-hand copy — more accurately, the inlet on its northern shore — is the focus of this Seconderth entry. 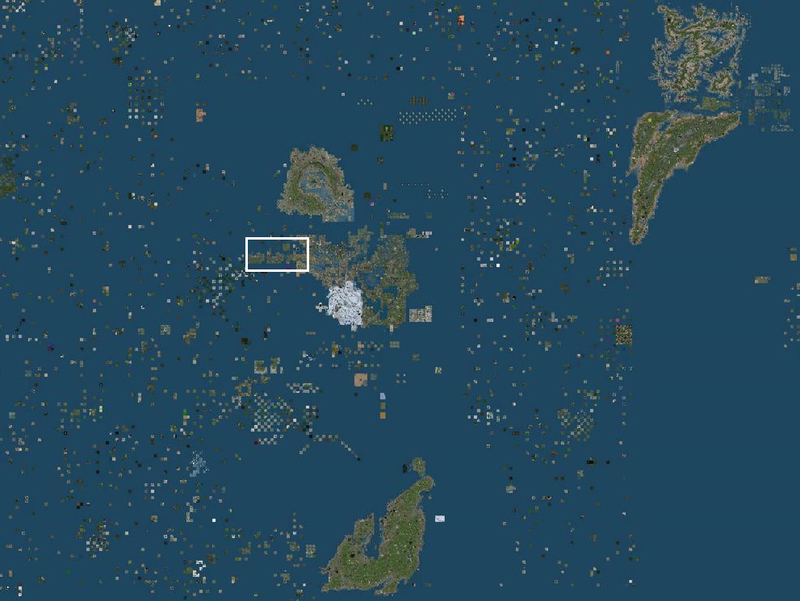 Marianne McCann (more of a SL history maven than I am, and frequent contributor to my research) alerted me to a Linden Department of Public Works project in those two regions, Weston and Oak Bluffs. In keeping with the twin estate’s overall theme, it’s an old-fashioned boardwalk with piers, like the one in Atlantic City before the era of casinos. Both of the entrances are guarded by a pair of — what else? 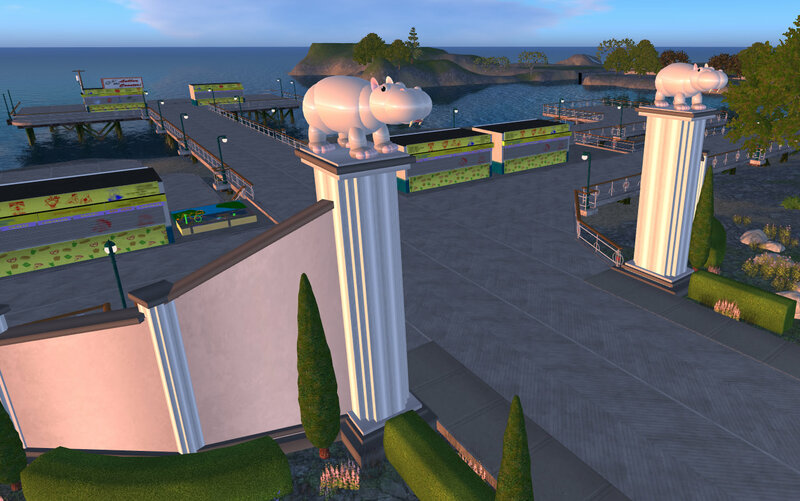 — hippos, first created for the infohubs by Altruima Linden in December 2005 (Mari tells me that many of those are still in place). The rest of the structure is the work of Sylvan Mole, who marked it “Entrance Idea (don’t use me)” Sorry – they did anyway. Now then… Here is the bait Mari used to entice me to visit this construction site: the boardwalk itself. 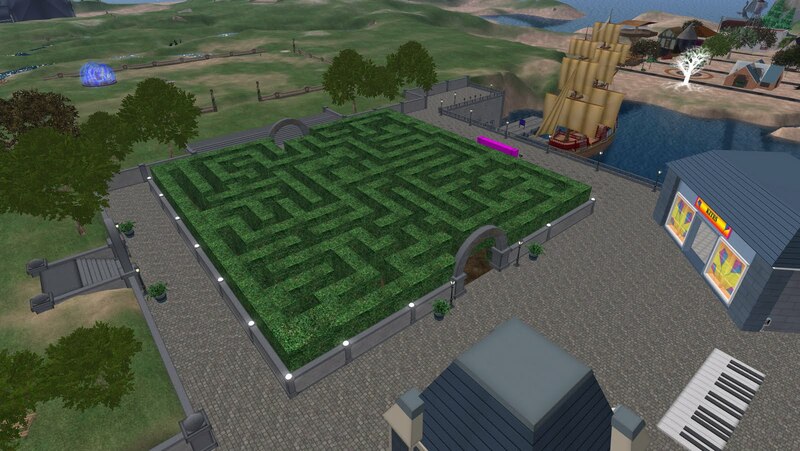 The LDPW Moles have constructed it using prims first rezzed by Alberto Linden. The oldest make up the boardwalk’s surface — November 11, 2002, not long after Linden World became closed-beta Second Life — and were first used in the boardwalk in Varney, long since gone. 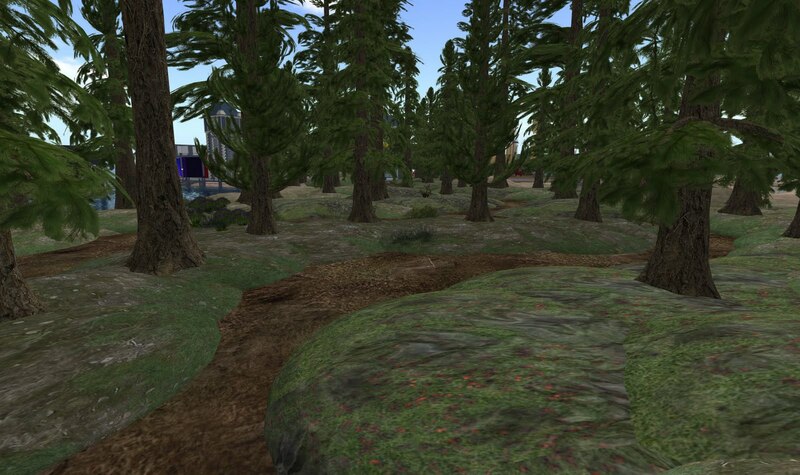 The log understructure dates from 2005, and can also be found (along with the surface prims) in the Boardman boardwalk. The railings were created in 2005 as well, but I don’t know where else they may have first appeared (please post in the Comments if you recognize them). It leads to Oak Bay, the next region north, where the Moles are putting the finishing touches on an aquarium. All of the denizens of the deep are already installed, and they are extremely well done. I photographed some of them (but not all – I want you to go there and see them yourself! 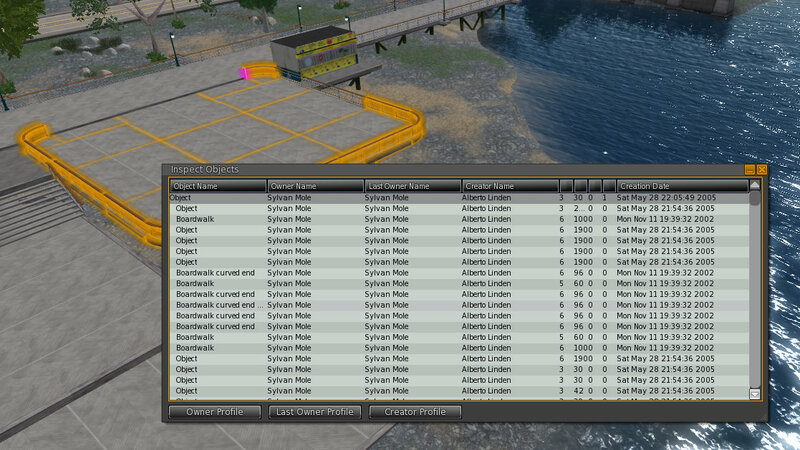 ), and you can find those here, along with more of the boardwalk (including the mystery railings). 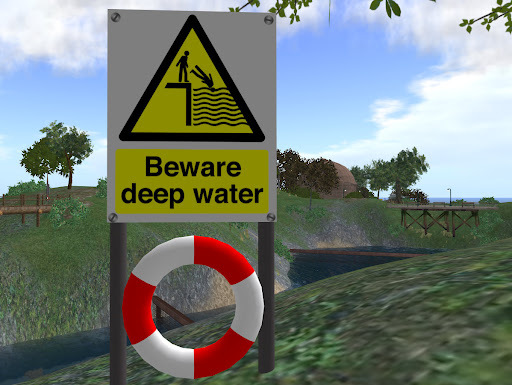 Beware (of someone pushing you from behind into) deep water! By the way… next Saturday, May 14, Bay City is celebrating it’s third birthday, with a parade and musical events, beginning at 12:30 pm. PS: In my next Second Life, I want to be a Mole. Not bad for a night’s work… and it says something important about the user interface’s learning curve, too. 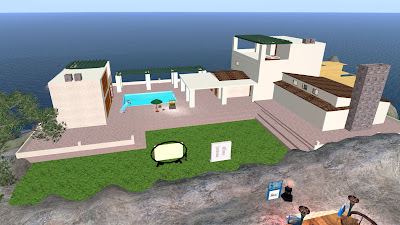 If you are (as I assume you must be, if you’re reading this blog) a current visitor/user/Resident/customer of Second Life, think for a moment about how much more rudimentary (and laggy!) 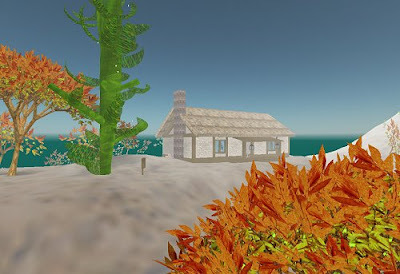 everything was in Linden World than that which we complain about now… and understand that a person inspired by the possibilities could still accomplish all that on her first login! Note: The Beanstalk, and many other of Steller’s early creations, can be found on her land in the center of Welsh. There is also a surprise inclusion of prims she created the same day as the Mansion, as part of a build in Immaculate. The photo of the cabin comes from a web page Steller authored, which is still online. 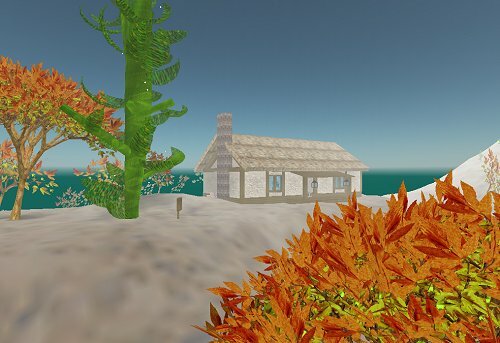 Two instances of the party picture can be found in-world: one is in Steller’s Viewmaster on the ground in Welsh; the other is in the museum on I-World Island.